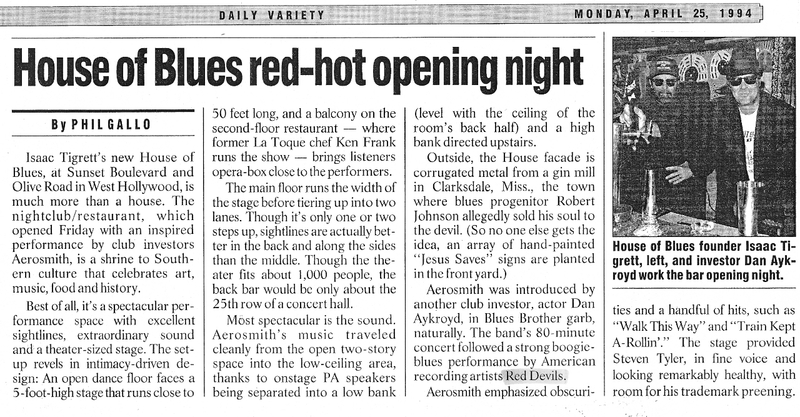 This entry was posted on February 23, 2011 at 11:49 pm and is filed under red devils with tags aerosmith, hollywood, house of blues, john paul dejoria, jonny ray bartel. You can follow any responses to this entry through the RSS 2.0 feed. You can leave a response, or trackback from your own site. I wonder if Lester was out of the Red Devils at this point. I played Saturday at HOB, probably April 23rd, 1994 with Lester, Kid Ramos, and James Intveld. Friday looked like a good show!